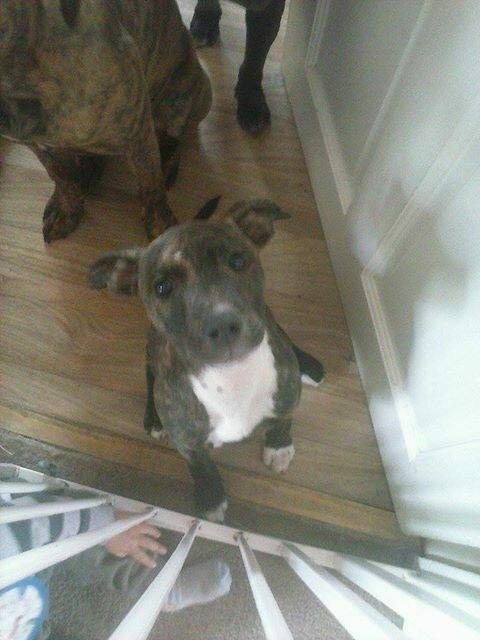 Tink is a 6 month old female Staffordshire Bull Terrier cross Whippet pup. 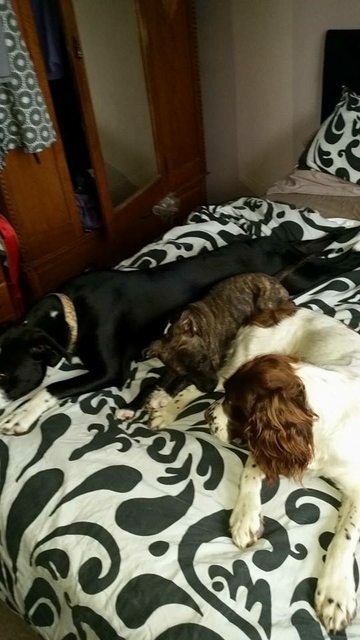 Sadly take came to us due to a relationship split her owner could no longer cope with having 8 dogs and young kids. Fortunately her owner wanted to do the best thing for Tink and find her the safety of a rescue. 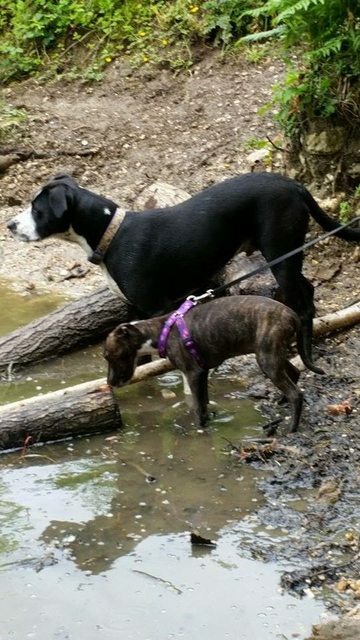 Tink is a pleasure to have around and is currently living with two other dogs in her foster home. Tink will benefit from a home that will be willing to put in training and perhaps take her puppy classes. Like most puppies she does get excited and can nip a little this is currently being worked on. She is still finding her feet and only just starting to go for walks due to her vaccinations. 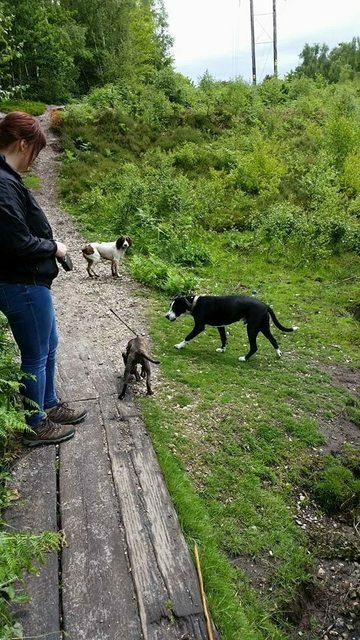 She can be a little wary when first meeting people and dogs but this will come with socialisation. Tink is fully vaccinated and micro chipped she will leave on a neuter contract and must be spayed at the age of 6 months. She is currently in Oxfordshire a meet and greet is a must.